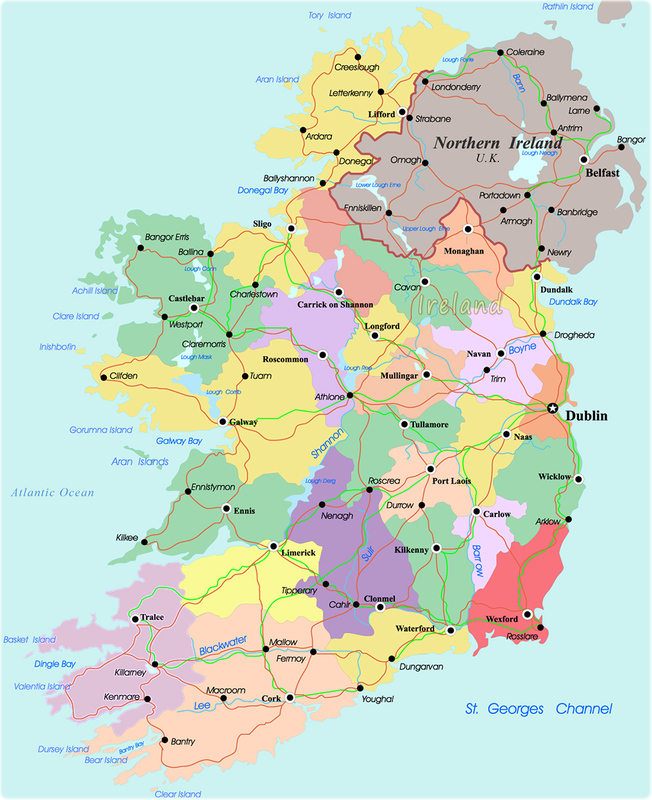 Ireland (Irish Éire) is a country of western Europe occupying five-sixths of the island of Ireland in the North Atlantic Ocean, west of Great Britain. Most of Ireland's population is descendent from the Celts. The republic has been beset with perennial concerns about cultural and political identity, and relations with Northern Ireland. Geographical data about the European country, main cities.